If you are facing an OWI, DUI charge in Hamilton County, Marion County or any other Central Indiana County, hiring an experienced DUI, OWI attorney should be first priority. 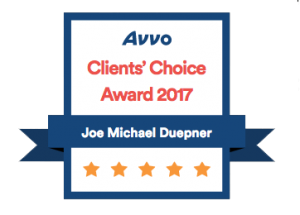 Duepner Law is here to help. You will have criminal court appearances , you may lose your drivers license, and even have the ability to go to jail or prison. The system is against you. Field sobriety tests are designed to be very difficult even to a completely sober person. Field breathalyzers and BAC machines have many problems that can be exposed. We at Duepner Law can analysis your cases to make sure you rights are not being stripped by the system. We fight for clients rights all over Indiana for DUI and OWI offenses. Our office is located in Noblesville, Hamilton County, Indiana. We know good people make mistakes and should be treated fairly. Please read the information below to learn more about Indiana Operating while intoxicated laws. OWI, DWI, and DUI are all terms that mean the same in Indiana, however the proper term in Indiana would be Operating while intoxicated or OWI. There are multiple ways in Indiana to obtain an OWI charge. Level 5 felony-Operating While Intoxicated. The person has a previous conviction of operating while intoxicated causing death. Drinking and driving charges in Hamilton and Marion County, Indiana are treated very seriously under Indiana Criminal Law. It does not take much to surpassed the legal limit of .08% and unfortunately it happens far too often and to all kinds of people. Suspensions and penalties for DUI, OWI vary in a number of way in Indiana. With an experience attorney, jail time is often suspended and license suspensions given by a judge can be ordered with Specialized Driving privileges IC 9-30-16 (Often called a hardship license) so keep that in mind when reading the following. Duepner Law has experience with OWI cases and and with the new specialized drivers permit statutes, throughout Indiana, especially in Hamilton and Marion Counties. See below information about the penalties faced if charged with an OWI, DUI in Indiana. Uusally a Misdemeanor- either a Class A or a Class C. Can be a felony in rare cases involving accidents and injury. You could be faced with one of the charges below or it is even common to be charged with more than one. A Class A misdemeanor is the highest level misdemeanor. A Class A misdemeanor carries a potential sentence of up to 1 year in jail- fines up to 5,000 – I.C. 9-30-5-10 drivers license suspension of 0 days – 1 year. A class C OWI, DUI carries a maximum sentence of 60 days and a 500.00 fine and 0-60 days of license suspension. While recent law reduced the minimum license suspension to zero for a first offense OWI, DUI, most courts still maintain some minimum suspension as policy. 60-90 days if often seen. For any Operating while intoxicated conviction where you have a prior conviction the license suspension is a minimum of 1 year. First you must determine the dates of the two offenses. If they are more than 5 years apart then you will be facing another misdemeanor. However the penalties are different now that you have a second. Indiana statute imposes a minimum 5 days in jail or 180 hours of community service and a minimum of 1 year license suspension. Specialized Driving privileges are still available in some cases. Second offense for OWI, DUI is within 5 years then you will be charged with a Level 6 felony which carries a sentence of 6 months up to 2.5 years and a license suspension of 1 year up to 2.5 years. Specialized Driving privileges are available and often the jail executed sentence can be suspended in some way including but not limited to, home detention or work release. If you have been arrested for your 3rd OWI, DUI in Indiana the penalties you now face are much more severe. If convicted the minimum jail sentence is 20 days or 360 hours of community service up to a maximum of 1 year in jail if the 3rd OWI, DUI is outside of the 5 year window from your second OWI, DUI , it can be up to 2.5 years if a felony because it was within 5 years of your previous OWI, DUI. 1. 3 or more major moving violations within a 10 year period. Major offenses typically include OWI, DUI, reckless driving, etc. This will lead to a 10 year license suspension. 2. 10 traffic violations within a 10 year period, 1 being a major violation such as OWI as mentioned above. This will impose a 5 year license suspension. Make sure you are addressing the BMV HTV laws when assessing your current pending criminal case for OWI, DUI. Important notes about Indiana OWI, DUI law. 1. If you choose not to take a blood alcohol test in Indiana, there are automatic consequences. No Indiana Specialized drivers permits are allowed for the refusal part of your suspension. If convicted your court order suspension will not run together with the refusal suspension and you must serve them back to back or in legal context, consecutively. IF YOUR CRIMINAL CASE IS OVER AND YOU HAVE A CURRENT SUSPENSION see the New Indiana Specialized Drivers Permit Law here as you still have options. 1. You can be convicted of an OWI without failing a BAC test in Indiana. You may be charged and or convicted in Indiana if there is probable cause to draw blood and certain drugs are present in your system. An attorney at Duepner Law can help you learn your rights to illegally obtained blood draws and testing and defenses to your case if your BAC was below .08. 2. A BAC level reading above .15% can increase the potential punishment. 3. Presence of a minor or causing death or injury can also be an aggregating factor. Duepner Law is here to help you through this tough time. We are dedicated to make sure each client is treated fairly. If arrested with an OWI, DUI in Indiana make sure you contact an attorney as soon as possible. Please contact us to find out how we can help you at this difficult time.